Play on Wednesdays right inside the bar at Aeronaut Brewing Company in Somerville between Union Square & Porter Square. Games start at 7:00pm and then run every 45 minutes throughout the evening. Keep the party rolling at the bar after your game is over!  Enjoy fine craft beer selections from Aeronaut Brewing. Plus join in at the bar for your chance to win the weekly raffle. Check out this Bocce league 'Somerville Wednesdays' with Major League Bocce Boston !